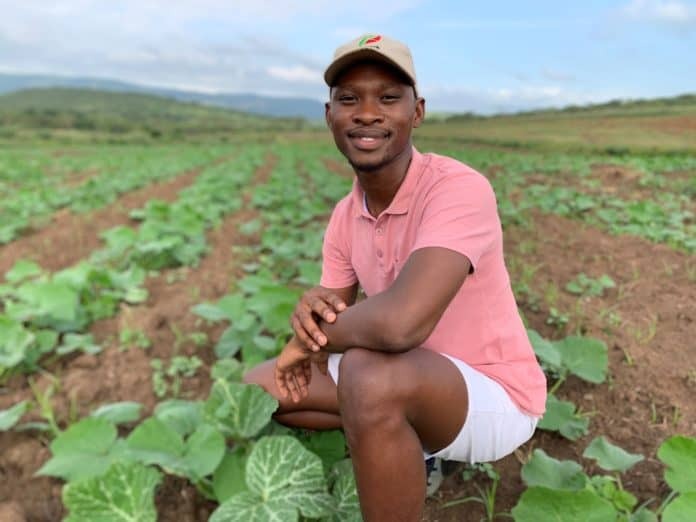 Andile Siphesihle Ngcobo (25) manages the operations of Tusokuhle Farming in Pietermaritzburg. Andile Siphesihle Ngcobo (25), never imagined himself as a farmer. But he’s always wanted to do something related to the food industry. Ngcobo says he realised that his food business ideas needed bigger capital to materialise. As a result, he had to think carefully about his food-related career. In 2013, Ngcobo decided to garner the basics of farming by enrolling at Cedara College of Agriculture in Pietermaritzburg, KwaZulu Natal (KZN). “I was very surprised by the amount of exposure you get about farming management,” he says. His exposure to a great deal of farming information at Cedara led him to the start of his path to becoming a large-scale commercial farm manager. To achieve his new goal, he worked part-time jobs during school holidays on numerous commercial farms across KZN. Between December in 2013 and July in 2014 he worked on a 50-hectare hazelnut farm. “The most important lesson I learnt here was about land use planning, meaning you must know how to use the space, how to plan the landscape without damaging what you are farming.” In December of that year he worked on a dairy farm in Mooi River, a small township with a beautiful river that impressed the early European settlers in the 1850s enough that they called it “mooi” (pretty). 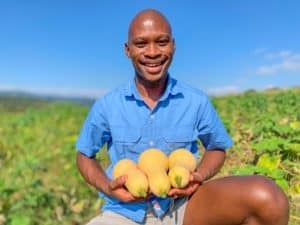 After obtaining his national diploma in Agriculture in 2016 and acquiring enough knowledge from different kinds of commercial farming operations, Ngcobo is now a large-scale commercial farm manager. He manages the operations of Tusokuhle Farming in Pietermaritzburg. On this 1 300-hectare black-owned farm there are about 108 workers, 40 of whom are permanent while the rest provide labour on casual basis. On the farm there are 300 Nguni cattle. However, he does not specialise in livestock. His passion for animals has been quite minimal, ever since college. In 2014, during his second year, he took part in a steer project where each student was given a bull calf to feed for a period of three months. His relationship with his assigned bull, which he named Otis, deteriorated quite remarkably, he remembers. His focus in the farm now is a variety of seasonal vegetables such as cabbage, spinach, butternut, cauliflower, broccoli and green mealies. He’s also planted herbs such as thyme, mint and basil, with sugarcane planted on in about 300 hectares of the farm. 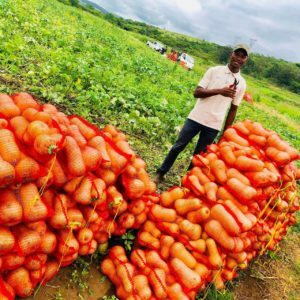 He supplies produce to vegetable markets across KZN. Some of the vegetables are sold at eThekwini Municipality Fresh Produce Market, Umsunduzi Fresh Produce Market and other retailers. Ngcobo produces a variety of seasonal vegetables such as cabbage, spinach, butternut, cauliflower, broccoli and green mealies. “We produce good looking vegetables, something that is economic and could fit into the fridge. I have to produce cabbages big as 1.2kg if I want them to land in big retailers. But if I go over that, they won’t take it,” he explains. “They will say ‘sorry you are over the weight’. But there are other big retailers where black consumers go to and in those retailers they do allow some of my big cabbages. Certain retailers don’t take into consideration that some black families may want a bigger cabbage [that would be big enough for the whole family],” he explains. One needs sharp skills to be able to produce the right sizes for the market. It requires extra resources to avoid running at a loss due when produce is rejected by retailers and ends up rotting. 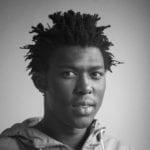 Ngcobo is proud that he’s meticulously succeeded in producing for this market consistently without any failure. “Not everybody has the skills of producing what they really want… It is quite surprising that I am able to produce for their standard as difficult as it is. We always aspire as farmers to have a direct market, because you get the value of what your produce is worth in the balance sheet,” he says. 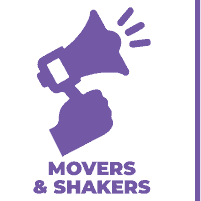 He’s established different markets and mechanisms of distributing his produce when he overshoots the retailers’ requirements. “I have plenty of guys who fill up their vans and go to supply in the townships and rural areas. I also have people who deliver to feeding schemes. I have an endless amount of people to call,” he says.